Elizabeth City, N.C. –– Looking at the 2016 Dodge Dart, it's easy to see where the inspiration for its name comes from. Unlike other compact cars, the Dart provides drivers with a feeling of invincibility through sharp, aerodynamic design and stable performance unexpected of smaller vehicles. 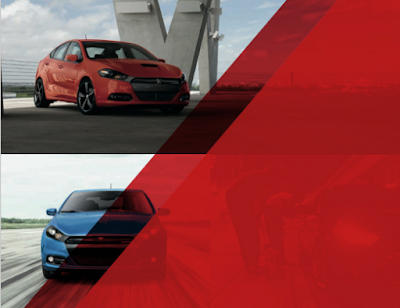 To get details and photos of the 2016 Dodge Dart, download your brochure below. The 2016 Dodge Dart is available in the trim levels SE, SXT, Aero, GT, and Limited. You can see all of the features and other details about the 2016 Dodge Dart in the downloadable 2016 Dodge Dart brochure that will help you decide which trim level and additional features meet your needs.